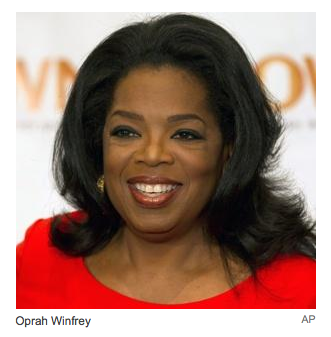 Apparently Oprah Winfrey has gotten the memo on the popularity of organics. According to the 2012 U.S. Families' Organic Attitudes & Beliefs study conducted by the Organic Trade Association (OTA), a total of 78% of U.S. families report having made organic purchases. Even in a bad economy, that's a figure that has steadily grown over the past decade and judging from recent news, it looks like organics are one of Oprah's favorite things. According to online filings for the US Patent and Trademark Organization, Oprah is ready to jump into the ever important and growing organic market. Oprah Seeks Trademarks For Organic Foods, Personal Care Products and More? Late last month, several applications for “Oprah’s Organics” were filed for use on bath soaps, sunscreen, massage oils, hair products - and also for organic salad dressings and frozen vegetables, soups, beverages and snack dips. The news gets more intriguing with applications for “Oprah’s Farm” for a beverage and catering service and “Oprah’s Harvest” also being submitted. I am thinking Oprah is thinking a little bigger than just Maui. What are you thinking?